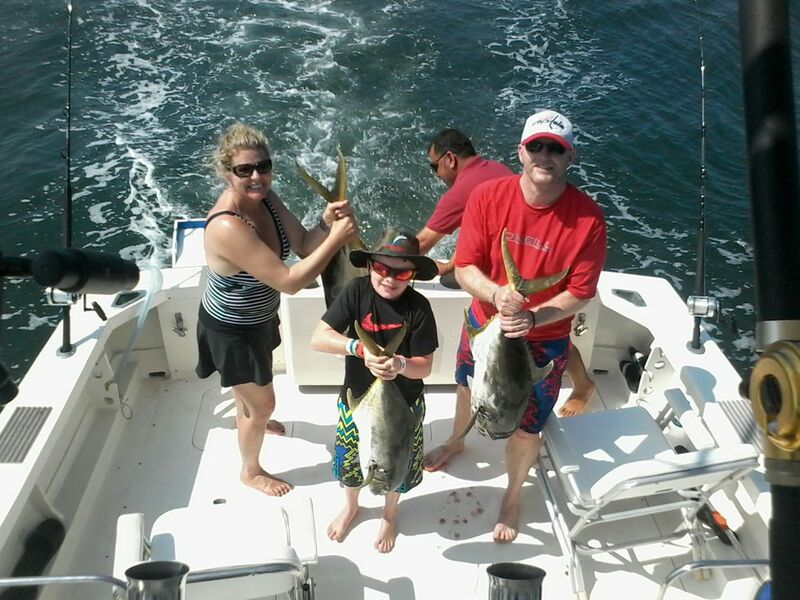 I had the opportunity to go out on a 12 hour day of fishing with my wife, daughter and father on the”My Marlin,” skippered by Steve Torres and crewed by Oscar on 12/29/15. This is the second year going out w Steve and he does not disappoint. Starting with Damon who does a great job in setting up the trip and communicating all neccessary details, I wanted to have the opportunity to catch a marlin as well as dorado. Steve and Oscar did an outstanding job letting us know what to expect and how the day would unfold. We trolled and had an early dorado hookup. Later Steve found floating debris and it was game on with the dorado. 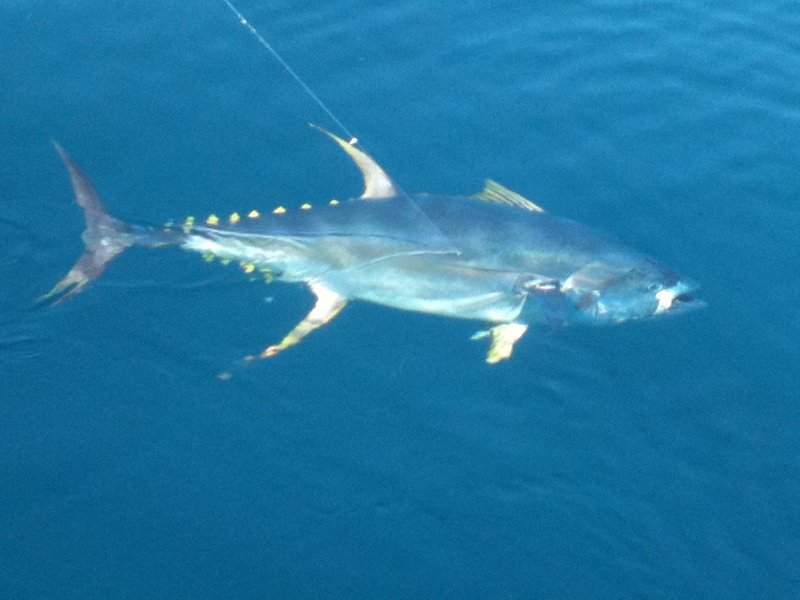 We caught five monster dorado (mostly bulls) I missed one. That gave us a total of 6 for the day. Other boats came to us after seeing our hookups. They weren’t catching anything upon arriving; we had the right bait. The best was yet to come. After about 15 minutes of beginning to troll again, the marlin hit. With superior boat control by Steve, I was able to boat my first blue marlin after a 1/2 hour fight, weighing in at approximately 300 lbs. Right after it was over, Steve said, “Let’s get another one.” That’s confidence. My family and I vacation in PV every Christmas and I would never consider another boat or captain. Puerto Vallarta fishing charter video with My Marlin Sportfishing see what you have to look forward Deep Sea fishing in Puerto Vallarta. 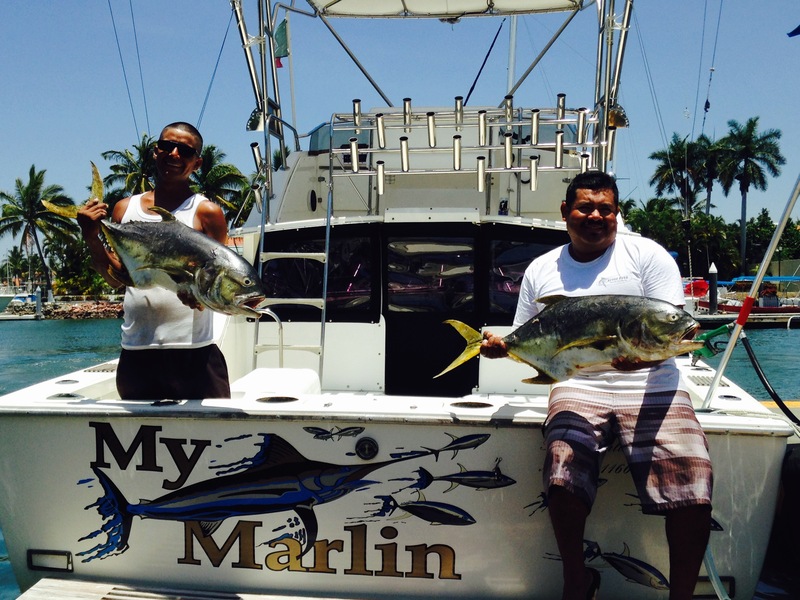 Puerto Vallarta fishing report October 2015 Marlin, Yellowfin tuna, Sailfish, and Dorado. Yellowfin Tuna, Sailfish and Dorado. the 1st couple week of the month the hot spot was a little north of la Corbetena about 40 miles offshore it was a daily Billfish hgot spot producing Blue Marlin, Black Marlin, and Sailfish. 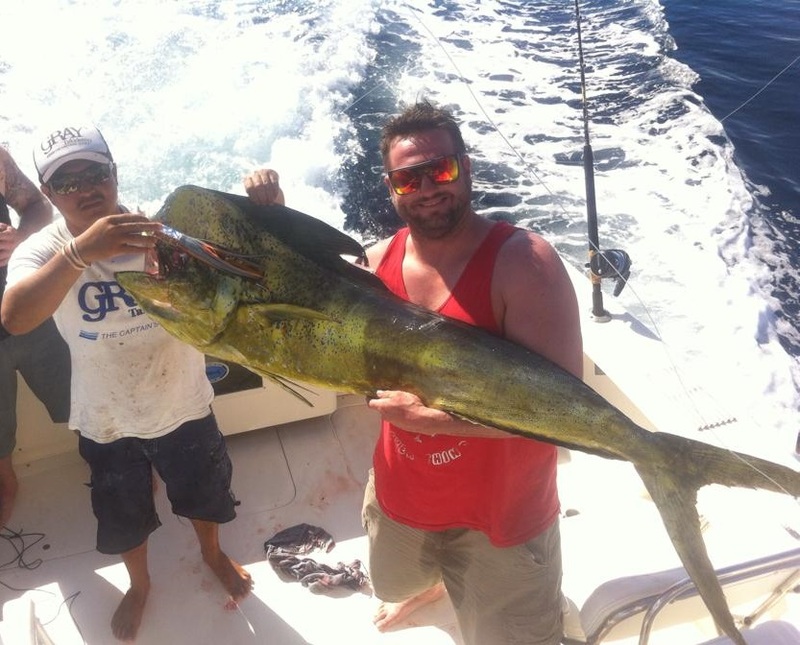 The Yellowfin Tuna bite has picked up about 15 miles past El banco past el banco averaging 80 – 150 lbs. 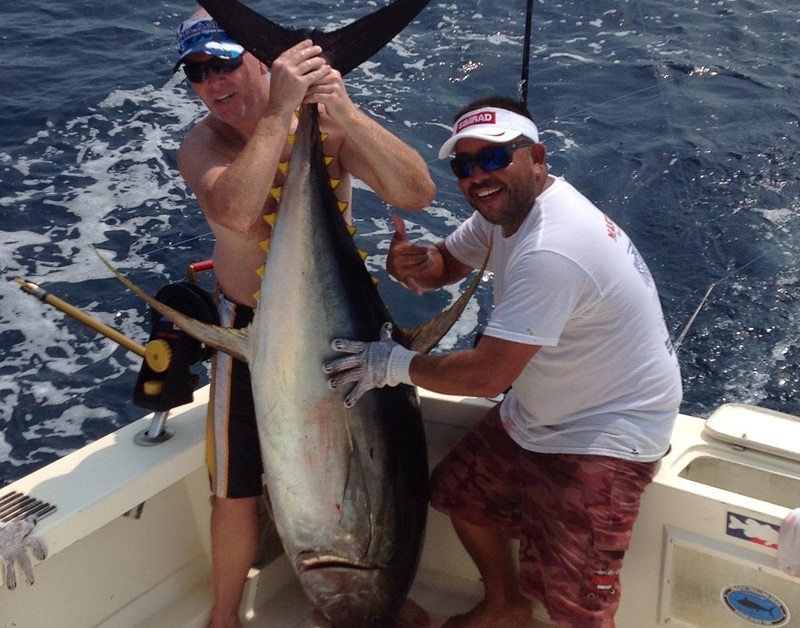 Angler Mark Taylor caught one of the biggest tuna’s of the month aboard the My Marlin as seen in photo the tuna was caught outside of el banco on 10/14/15 on a overnight fishing Charter with captain Steve Torres. 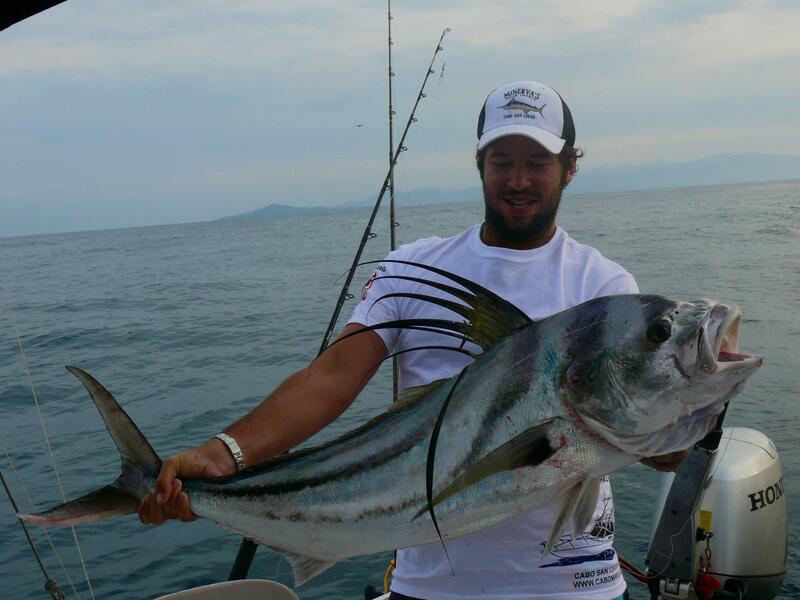 It is have been a up and down month of fishing here in Puerto Vallarta. The Billfish have beenn the most constistent bite We are still seeing alot of Blue Marlin, and Sailfish biting at Corbetena and el banco as well as nice surprise of sharks this last week also biting offshore. inshore has been slow since the storm there is aslot of bonitas and a Jack Crevalle. But the mahi mahi have seemed to dissapear the last couple days but I’m sure that will change soon. The Water is nice and blue and heating up it looks like it is going to be big Summer fishing season in PV. Congratulations to Philip Mathias who caught the big Marlin in picture below while fishing on the My Marlin with captain Filipe July/18/2015. Offshore the Billfish and Tuna bit have really picked up this last week 70 + miles offshore the Yellowfin Tuna have been averaging 30-200 lbs with a couple of cow’s as well. 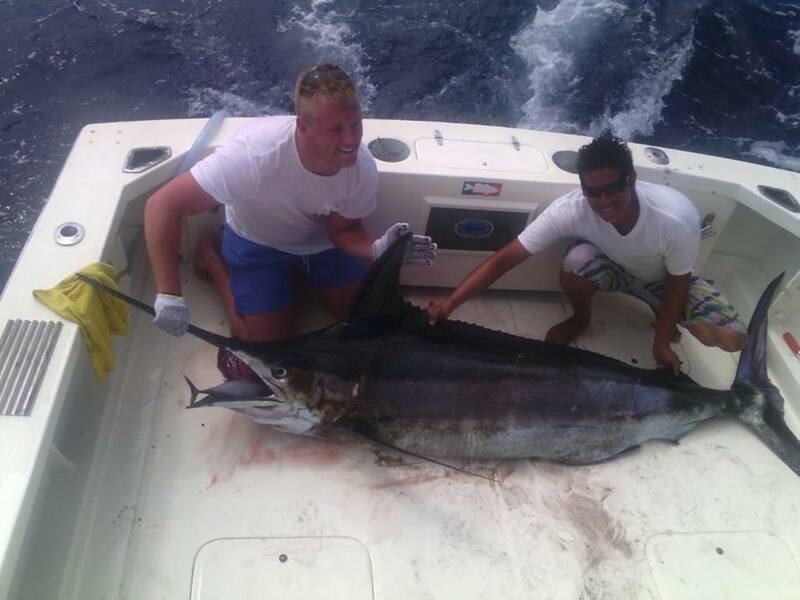 The Billfish is bite has consisted of Striped Marlin, Sailfish, and a few Blue Marlin. The Striped Marlin have been biting live bait slow trolling as well as the Sailfish We have also caught a few sailfish casting live bait. inside Banderas bay there has been alot of action fishing off the north cost of Puerto Vallarta the Jack Crevalle boiling averaging 8-12 on 4 and 6 hr days.